Hidden in a desolate rocky landscape on the coast of Makran in southern Balochistan, Pakistan, it is an architectural gem that has not been discovered and unveiled for centuries. 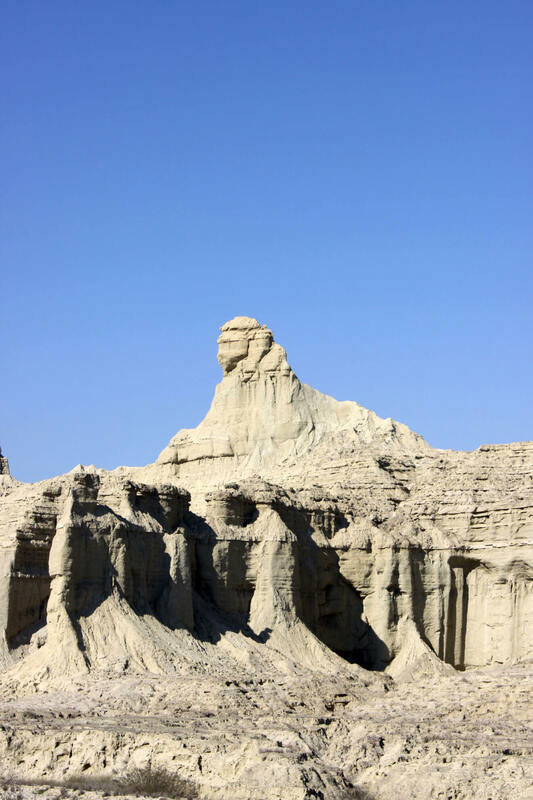 "Balochistan sphinx"As it is popularly called, appeared in the public eye after the opening of the Makran coastal highway in 2004, linking Karachi with the port city of Gwadar on the Makran coast. 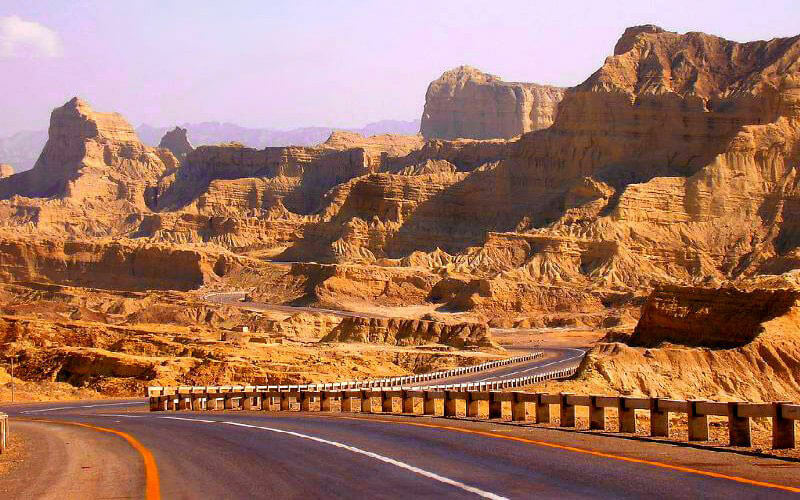 A four-hour, 240 km long ride along the creeps of mountain roads and arid valleys brings passengers from Karachi to National Park Hindol. This is where the Balochist Sphinx is located. 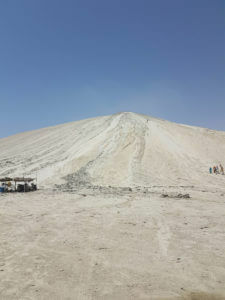 The Balochistan sphinx is commonly neglected by journalists as a natural formation, although no archaeological survey was apparently on the site. If we examine the characteristics of this structure and its surrounding complex, it is difficult to accept the often repeated assumption that it was shaped by natural forces. Instead, the place looks like a gigantic architectural complex carved from the rock. 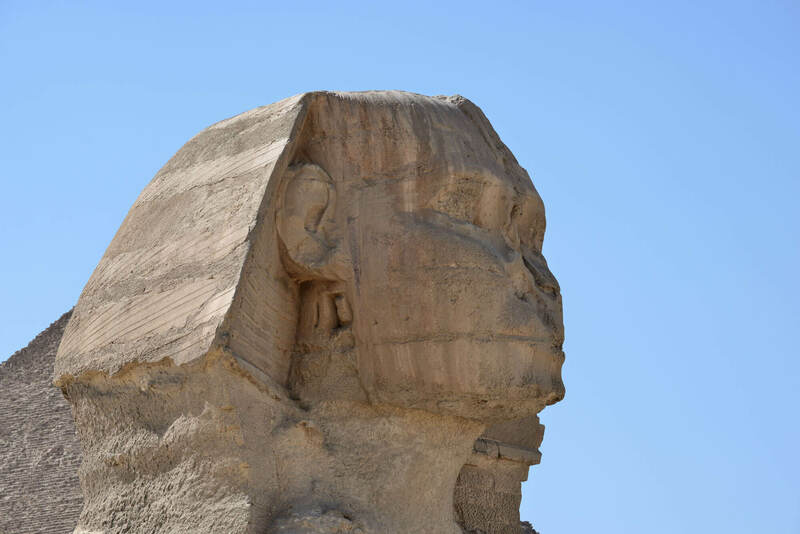 A brief look at an impressive statue shows that the Sphinx has a well-defined chin and clearly recognizable features of the face, such as eyes, nose and mouth, which are located in seemingly perfect proportions. 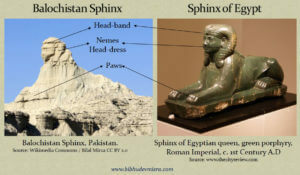 It seems that the sphinx is adorned with a dress that is very resemble the Nemeses dress worn by the Egyptian pharaoh. Nemes is a striped headgear that covers the crown and part of the head. It has two large, striking flaps that hang behind the ears and shoulders. The Balochistan sphinx can also be found with handles as well as some stripes. 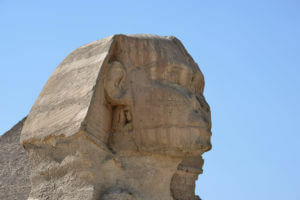 The Sphinx has a horizontal groove across the forehead, which corresponds to the pharaoh's face that holds Nemes in place. We can easily see the contours of the Sphinx's lower legs, which end in very well-defined paws. It is difficult to understand how nature could have sculptured a statue that resembles a well-known mythical animal with such amazing precision. 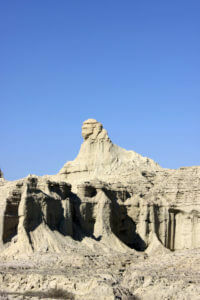 Close to the Sphinx of Balochistan is another important structure. From a distance it looks a bit like a Hindu temple (like in southern India), with Mandapou (entrance hall) and Vimana (temple tower). The top of the Viman seems to be missing. The Sphinx stands in front of the temple and acts as a protector of the sacred place. In the old, sacred architecture of the sphinx, it performed a protective function and was generally placed in a pair on both sides of the entrance to the temple, graves and sacred sites. In ancient Egypt, the sphinx was a lion's body, but its head could be human (Androsphix), ramus (Criosphinx) or falcon (Hierocosphinx). For example, the Great Sphinx in Giza acts as the guard of the pyramid complex. In Greece, the sphinx was the head of the woman, the wings of the eagle, the lioness's body and, according to some, the snake's tail. The Colossal Statue of the Naxos Sphynx stands on the ionic column at the sacred Oracle of Delphi, acting as a protector of the site. 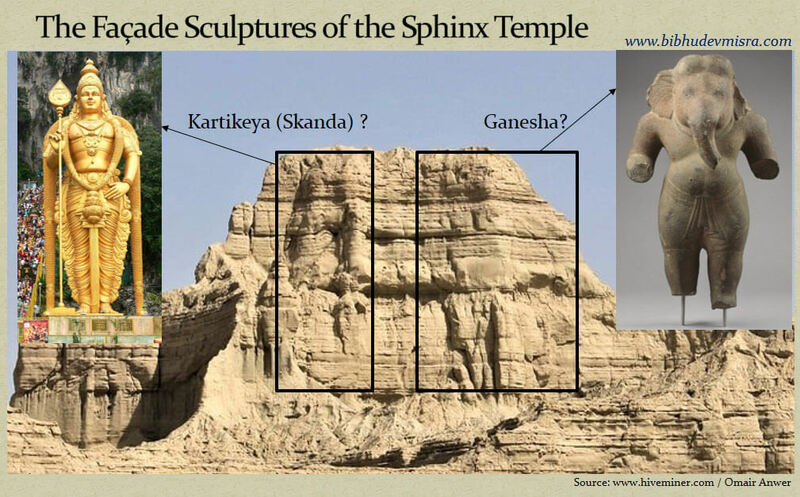 In Indian art and sculpture, the sphinx is known as purusha-mriga (the "beast of man" in Sanskrit), and its primary location was near the temple gate, where she served as the guardian of the sanctuary. However, the sphinxes were carved throughout the temple premises, including gopuram, corridor (mandapa), and near the central garbage (garba-griha). A) A fragile sphinx with a human face, but with certain characteristics of a lion, such as mane and elongated ears. Sphynxes are also part of the Buddhist architecture of Southeast Asia. In Myanmar they are called Manusiha (Sanskrit manu-simha, which means man-lion). They are drawn in the position of cringing cats in the corners of Buddhist hives. They have a tapering crown on their head, and decorative ear flaps on their forelegs have wings attached. So in the whole ancient world the sphinium was the protector of the sacred places. Perhaps not by chance, the Sphinx of Balochistan also appears to protect the structure of the temple with which he neighbors. This suggests that this structure was built in accordance with the principles of sacred architecture. 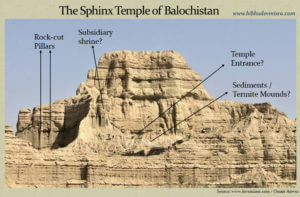 A closer look at the temple of the Balochistan sphinx reveals clear evidence of the pillars carved on the border wall. The entrance to the temple is visible behind a large pile of sediments or termitas. An elevated, shaped structure to the left of the entrance could be a side shrine. Overall, it can not be doubted that it is a massive, artificially created monument of antiquity. Interestingly, they appear on the facade of the temple two monumental sculptures on both sides directly above the entrance. Cuttings are heavily eroded, making it difficult to identify them; but it looks like the figure on the left could be Kartikey (Skanda / Murugan) holding his spear; and the figure on the left could be walking Ganesha. By the way, both Kartikey and Ganesha are the sons of Shiva, which means that the temple complex could be dedicated to Shiva. While identification in this state is speculative, the presence of carved figures on the facade gives more weight to the theory that it is a man-made structure. The structure of the Sphinx temple suggests that it may be Gopuram, the entrance to the temple. Like the temple, the Gopuram are generally flat. Gopurams have a number of ornamental calasams (stone or metal blankets) arranged above. From the careful study of the flat top of the temple, one can distinguish a number of "peaks" above, which may be a number of Kalasha-covered sediments or a hill of termites. 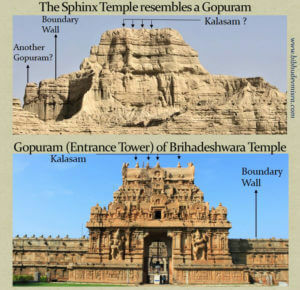 Gopuramy are connected to the boundary wall of the temple, and the temple appears to be adjacent to the outer boundary. Gopurams also feature giant carved figures of the dvarapalas, ie the Door Rangers; and as we have noticed, it seems that the Sphinx Temple has two monumental characters on the facade, just above the entrance that serves as dvarapalas. A higher structure to the left of the Sphinx temple could be another gopuram. It follows that in the cardinal directions there could be four gopurams leading to the central courtyard where the main shrine of the temple complex was built (which is not visible on the photo). This kind of temple architecture is quite common in South Indian temples. The elevated platform on which the Sphinx and the temple are located is apparently carved out with pillars, niches, and a symmetrical pattern that extends over the entire upper part of the platform. Some of the niches can be the door to the chambers and halls beneath the temple of the Sphinx. Many people believe, including mainstream egyptologists like Mark Lehner, that chambers and passages can also be under the Great Sphinx in Giza. 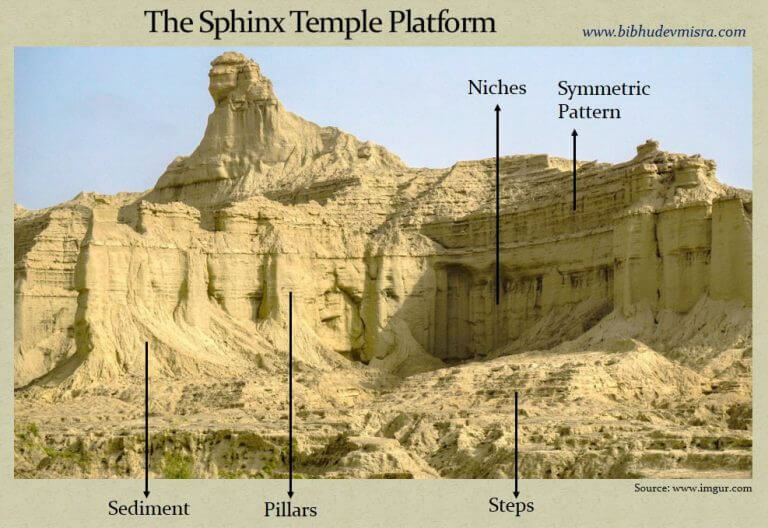 It is also interesting to note that the Sphinx of Balochistan and the temple are located on an elevated plateau, just like the Sphinx and Pyramids in Egypt are built on the plateau of Giza overlooking the city of Cairo. Another striking feature of this place is a series of stairs leading to a raised platform. The stairs appear to be evenly distributed and equally high. The whole place creates the impression of a large rock architectural complex that has been eroded by elements and covered with layers of sediment that mask more complicated details of sculptures. 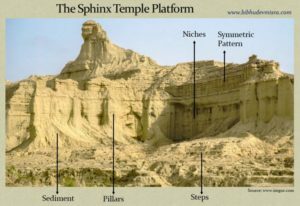 The Balochist sphinx temple platform can be made of carved stairs, pillars, niches, and a symmetrical pattern. What could have placed so many deposits at this point? The Makran Balochistan coast is a seismically active zone that often creates enormous tsunamis that destroys entire villages. It was reported that the earthquake from 28. November 1945 with its epicenter on the coast of Makran caused a tsunami with waves reaching some places up to 13 meters. 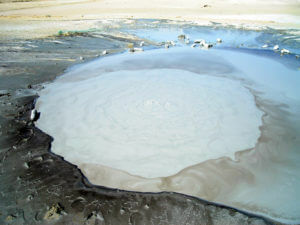 In addition, a number of marsh volcanoes are spread along the coast of Makran, some of which are located in the Hingol National Park, near the Hingolu delta. An intense earthquake triggering a volcano eruption, with a stunning amount of mud breaking out and drowning the surrounding landscape. Sometimes the marshy volcanic islands appear along the coast of Makran in the Arabian Sea, which are scattered over the course of one year by waves. Therefore, the joint action of tsunamis, marsh volcanoes and thermites can be responsible for the formation of sediments at this site. The elaborate Indian temple complex on the Makran coast should not be a surprise because Makran has always been regarded by Arab chroniclers as "the al-Hind border." A-Biruni wrote that "the al-Hind coast begins with Tizem, the capital of Makran, and from there south-east direction ... "
Although absolute power has changed from the beginning, it has preserved the "Indian entity" all the time. 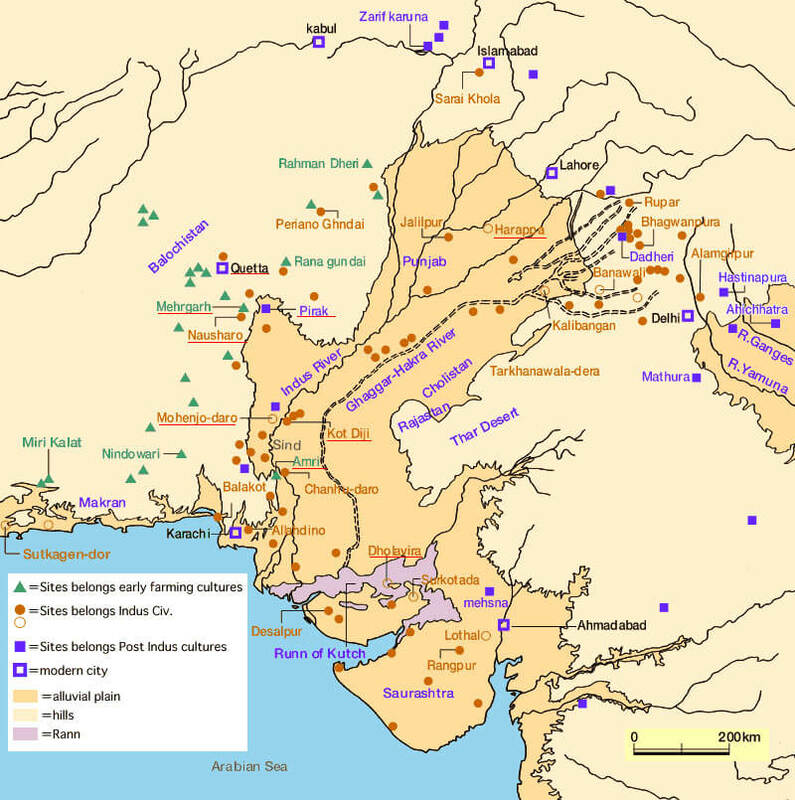 Over the decades of the previous Muslim raids, Makran was under the dynasty of the Hindu kings who had the capital Alor in Sindu. The term "Makran" is sometimes considered to be a deformation of the Persian Maki-Khor, meaning "fish eaters". However, it is also possible that the name comes from the Dravidian "Makara". When in 7. century Chinese explorer Hiuen Tsang Makran visited, noticing that the manuscript used in Makran was "very similar to that in India," but the language "differed from the Indian." 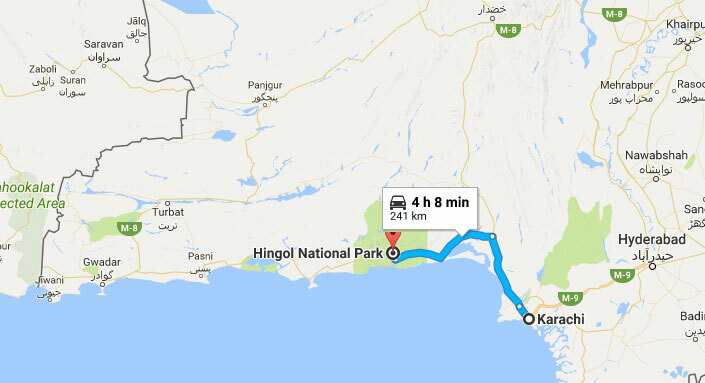 The same supremacy of the Hiuen Tsang army, referred to as 'O-tien-p'o-chi-lo', is located along the road leading through Makran. He also describes it as predominantly Buddhist, sparsely populated, having no less than 80 Buddhist monasteries with about 5 000 monks. In fact, 18 kilometers northwest of Las Bela in Gandakahar, near the ancient city, are Gondrani Caves and their buildings show that these caves were undoubtedly Buddhist. On the way across the Kij valley further west (then under the Persian government), Hiuen Tsang saw roughly 100 Buddhist monasteries and 6000 priests. 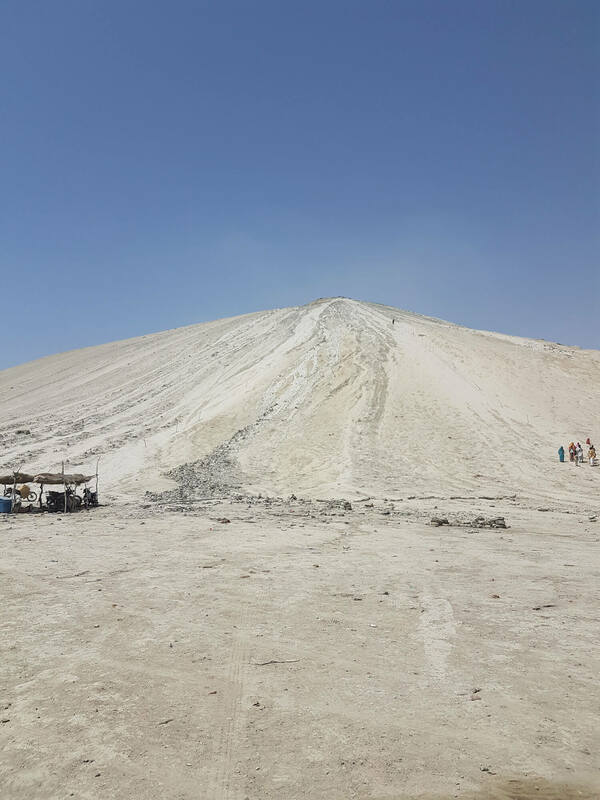 In this part of Makran, he also saw several hundred Deva temples, and in Su-li li-chi-shi-fa-lo - probably Qasrqand - he saw the Maheshvara Deva temple richly decorated and shaped. There is a very wide spread of Indian cultural forms in Makran in 7. century, even at a time when it fell under Persian power. 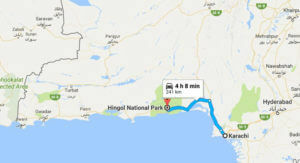 For comparison, recently, it was the last place of Hindu pilgrimage in Makran Hinglaj, 256 km west of today's Karachi, in Las Bela. According to Hiuen Tsang's lists, the Makran coast, even 7. century, occupied by hundreds of Buddhist monasteries and caves, as well as several hundred Hindu temples, including the richly carved Lord Siva's temple. What happened to these caves, temples and monasteries of the Makran coast? Why have they not been restored and shown to the general public? Do they have the same fate as a complex of temples of the sphinx? Probably yes. These ancient monuments, which were covered with sediment, were either completely forgotten or overlooked as natural formations. In fact, close to the Balchistan sphinx, on top of the elevated platform, there are remains of what looks like another ancient Hindu temple, complemented by Mandap, Sikhara (Vimana), pillars and niches. 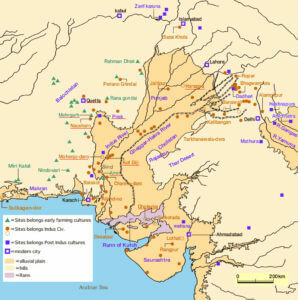 The Indus Valley civilization, fractured along the Makran coast and its most western archaeological site, is known as Sutkagen Dor, located near the Iranian border. Some temples and rock sculptures of this region, including the temple complex of the sphinx, could have been built thousands of years ago during the Indian period (around 3000 BCE) or earlier. It is possible that the site was built in different phases and that some structures are very old and others quite recently built. However, the dating of monuments carved in the rock is difficult due to the absence of inscriptions. If the site contains legible inscriptions that can be interpreted (another tricky assertion, since the Indus Manuscript did not give up its secrets). It is only then possible to indicate the date of some of the monuments. In the absence of inscriptions, scientists will have to rely on datable artifacts / human remains, architectural styles, geological erosion pointers, and other traces. One of the persistent secrets of Indian civilization is the abundance of gorgeous rock temples and monuments that have been built since 3. century BC. Where did the skills and techniques of building these sacred places of worship without the corresponding period of evolution evolved? Rock formations on the Makran coast can provide the necessary continuity between architectural forms and techniques from the Indian period and the later Indian civilization. It could have been in the mountains of the Makran coast, where Indian craftsmen improved their skills, and they were later transported to Indian civilization. Undoubtedly, there is a virtual treasure of archaeological miracles waiting to be discovered on the Balchistan coast of Makran. Unfortunately, these beautiful monuments, the origins of which go back to unknown antiquity, remain in isolation as a result of an appalling level of apathy towards them. It seems that the attempt to recognize and renew them was very small and journalists are commonly overlooked as "natural formations". The situation can be saved only if these structures are devoted to international attention and teams of archaeologists (and independent enthusiasts) from all over the world visit these mysterious sights to explore, renew and promote them. The meaning of these ancient monuments on the Makran coast can hardly be overestimated. They could be very ancient and could provide us with important traces that would reveal the mysterious past of mankind.